I really love the unplanned, spontaneous decisions and ‘’missions’’ that include getting together with people that are dear to me and enjoying the precious days when we can forget about work and obligations. One such ‘’mission” was the road trip to Slovenia that my friends, my BF and I took last weekend. 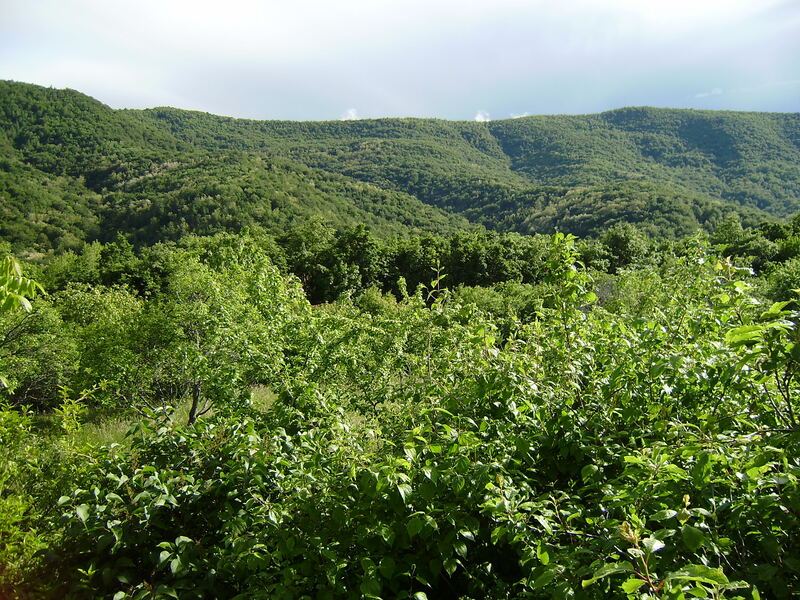 Since my BF’s grandparents come from Slovenia, we had secured accommodation in a small village of Vareje (in the Slovenian region Primorska), surrounded by green hills, valleys and orchards, hearing no sound but the chirping of birds nested under the roof. Add to it a team of fun, positive people that make the experience even more awesome, and the good times are guaranteed. 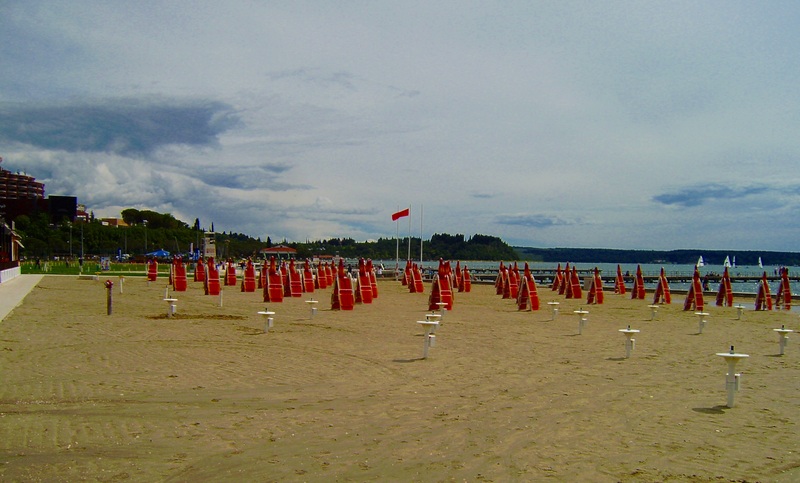 Saturday was dedicated to exploring the Slovenian coast, by visiting small seaside towns scattered around it. As people who live by the sea our entire lives, we obviously couldn’t spend much time apart from it. 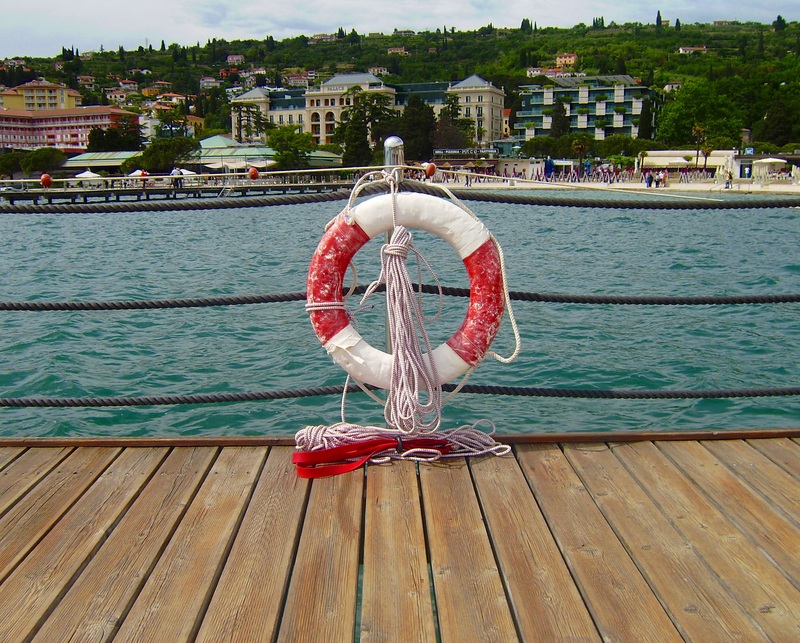 The first step on our journey was Izola. 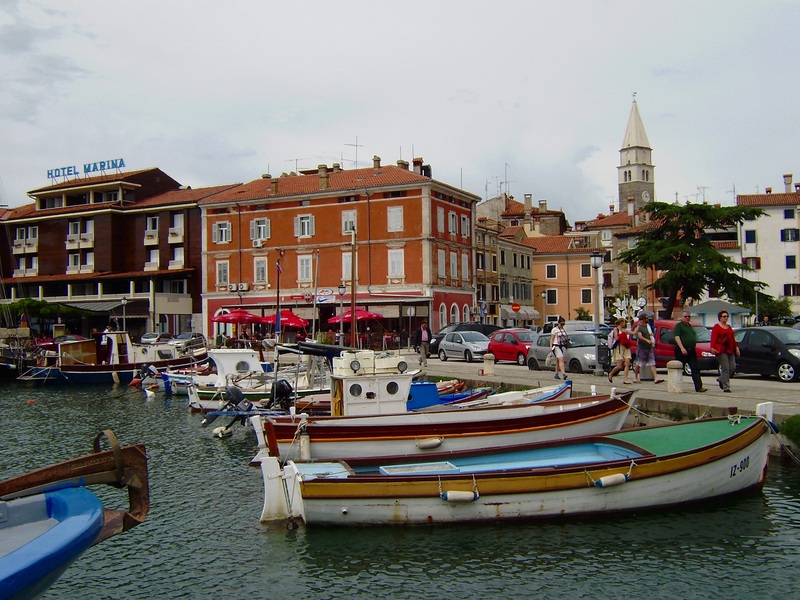 It is a beautiful little seaside town that reminded me very much of touristic towns in Croatia. 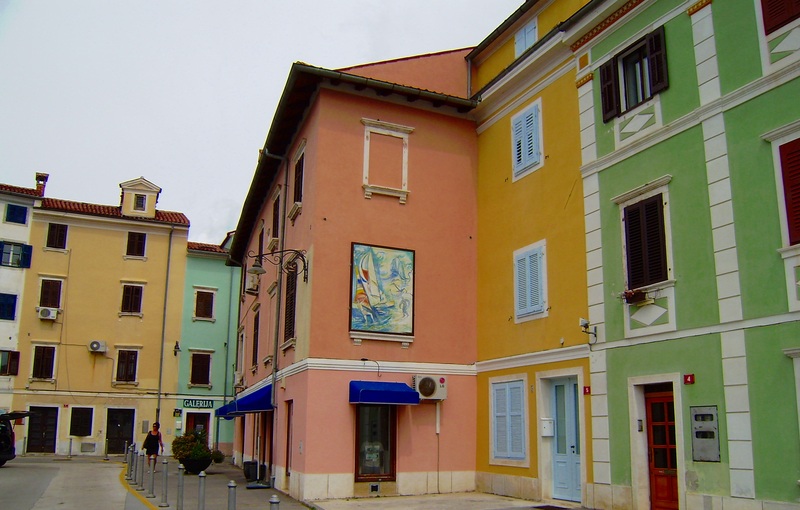 Seeing something so familiar and similar in atmosphere, architecture, urbanism and mentality makes you wonder about the absurdity and randomness of borders: parts of Istrian and Slovenian coast share the same geographical features and historical heritage, and yet, today, they belong to different countries. At a certain point in time, someone just drew a border on the map, deciding the faiths of such places and dividing people that don’t really differ in any other way. The town is located on a small peninsula, and is quite charming with its small narrow streets, colorful facades and a beautiful marina. We sat down in the marina, enjoying large ice cream cups, basking in the sun. 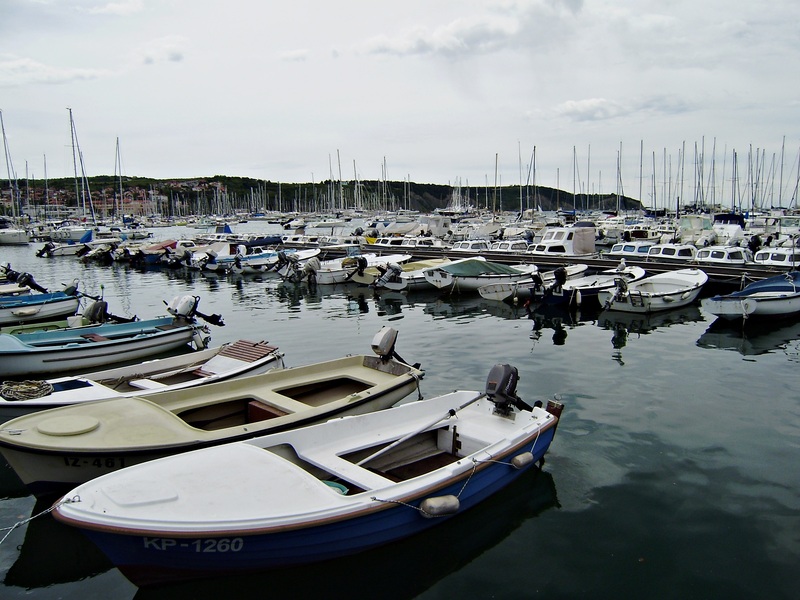 Afterwards, we went to Portorož. 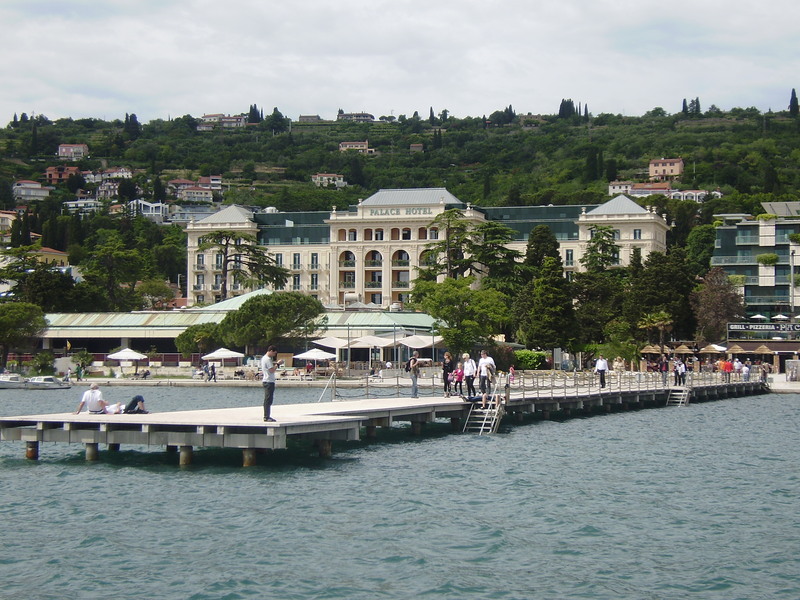 The town is known as the Slovenian Monte Carlo, famous for expensive hotels and casinos. A winding road leads down to the town center and in some respects it really reminds you of the famous Principality, especially with its atmosphere of luxury. 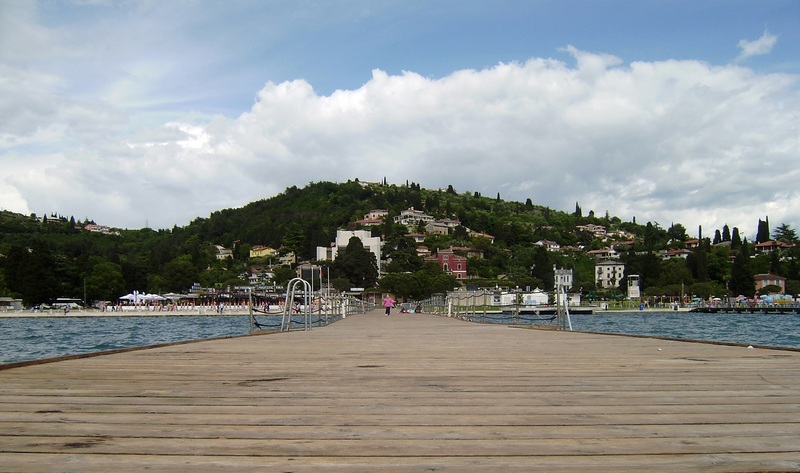 We planned to take a walk around the town and thoroughly explore it, but the plans soon changed when we saw the span of a coastal walking path and beautiful wooden piers. We sat down on one of the piers and observed the town seen from the sea side. Good company, beautiful views, nice weather and a camera – what else do you need while traveling? 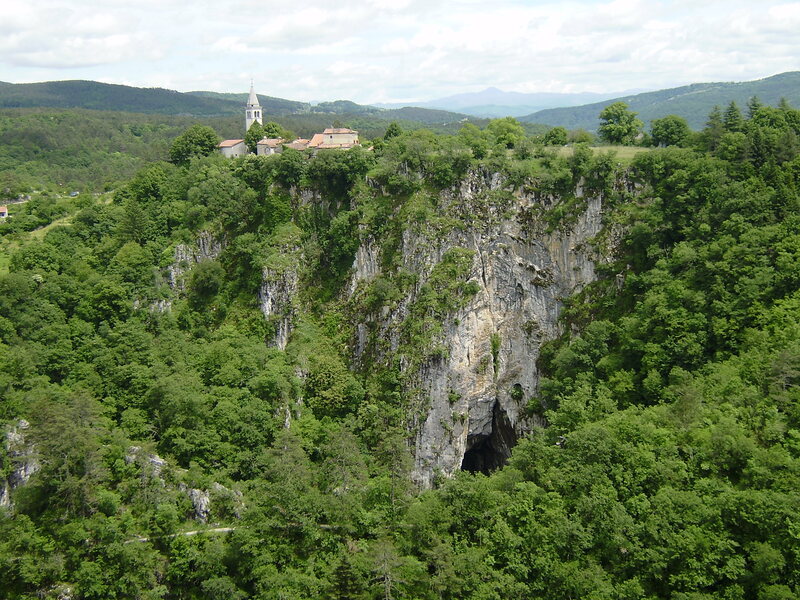 On the second day of our Slovenian adventure, we traveled towards Škocjan Caves, a UNESCO World Heritage Site. 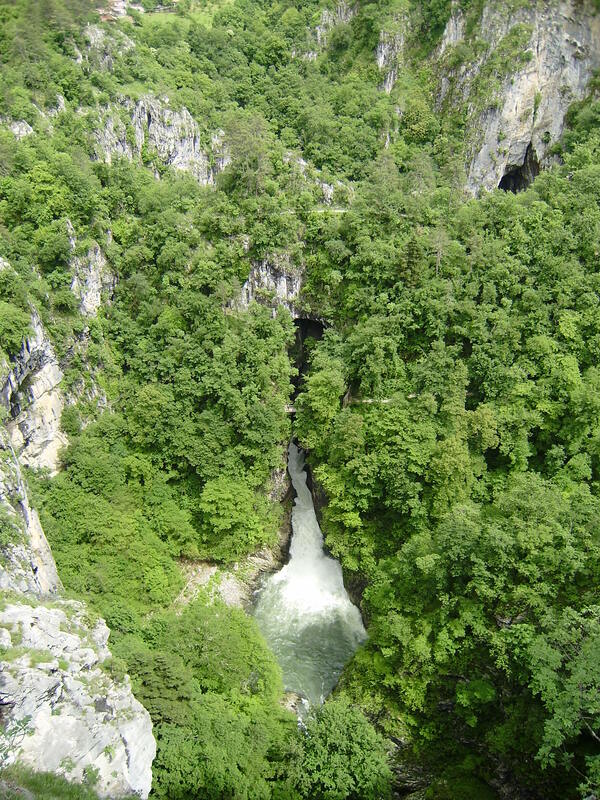 The viewpoint of Velika Dolina, a part of the Škocjan Educational Trail, is a beautiful place from which you can observe the 163 meters deep collapse dolina to the Reka river sinkhole, admire the vertigo-inducing height and the sound of the powerful river flow. My BF, who spent many days of his youth in Slovenia, told us an interesting legend that he heard as a boy from his grandfather: during Napoleon’s conquests, his soldiers were in Slovenia, near the hilltop village of Škocjane that is situated right over the Velika Dolina. They heard loud music and singing coming from the village. Naturally, they wanted to join the party so they approached large wooden doors that were the only thing dividing them from the village that promised food, rest and warmth. However, it was all a trap: when the soldiers opened them, they all fell down into the doline and drowned in the river. Despite of the holes, this legend is very interested because it speaks a lot about the feistiness of the people. The next stop of our tour was Lipica. 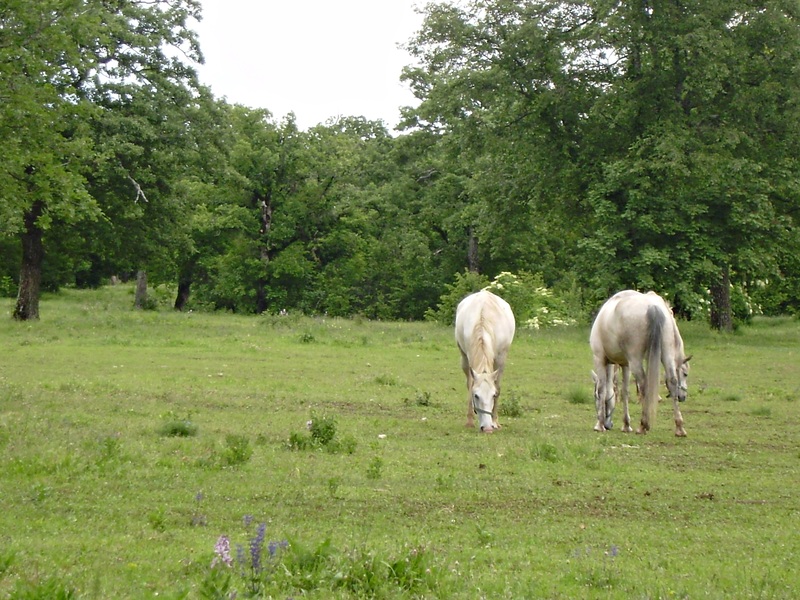 The village is one of the main tourist centers of Slovenia’s Karst region and is world-famous for the Lipica Stud Farm, home of the Lipizzan horse. This breed or horses was developed in the time of Empress Maria Theresa whose husband was very interested in horse-breeding. Unfortunately, bad luck followed the farm: during the 19th century, it had to be relocated in different parts of the Empire, and after the World War II, only 11 horses remained there since all others were confiscated by the Germans. Situation improved after the War, and in 1960s Lipica was opened to tourists. 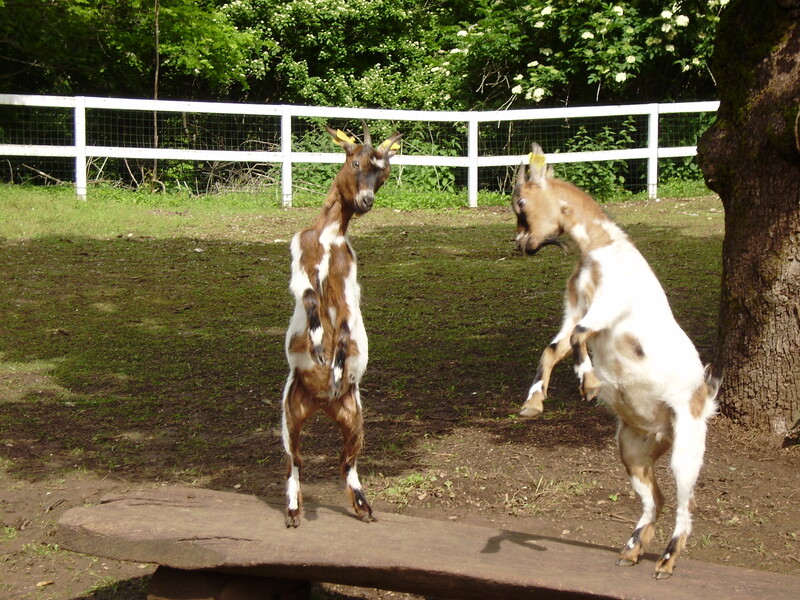 Today, the stud farm breeds the finest horses for haute-école riding. We had a very tight budget for our road trip so we decided not to enter the stables. 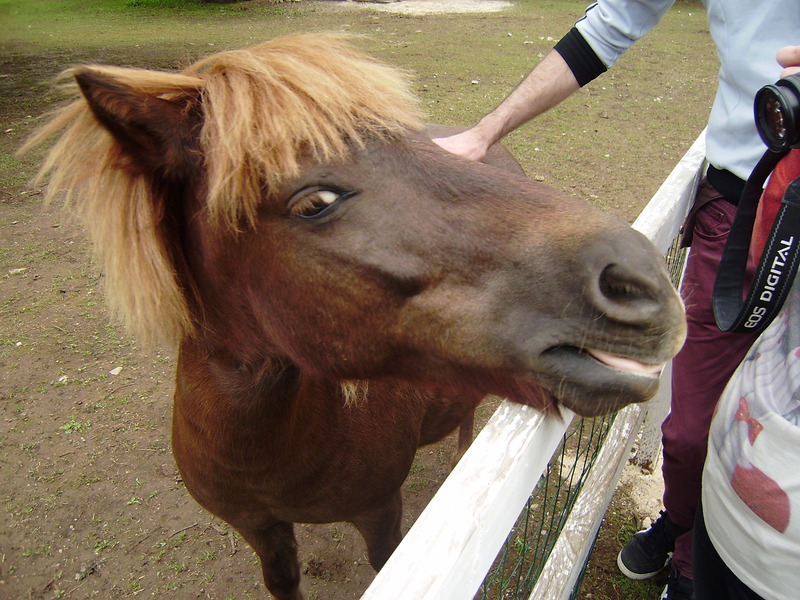 However, we still saw beautiful white horses strolling around the fields, and we also spent some time regressing into our childhood, petting ponies and young goats in the petting zoo. 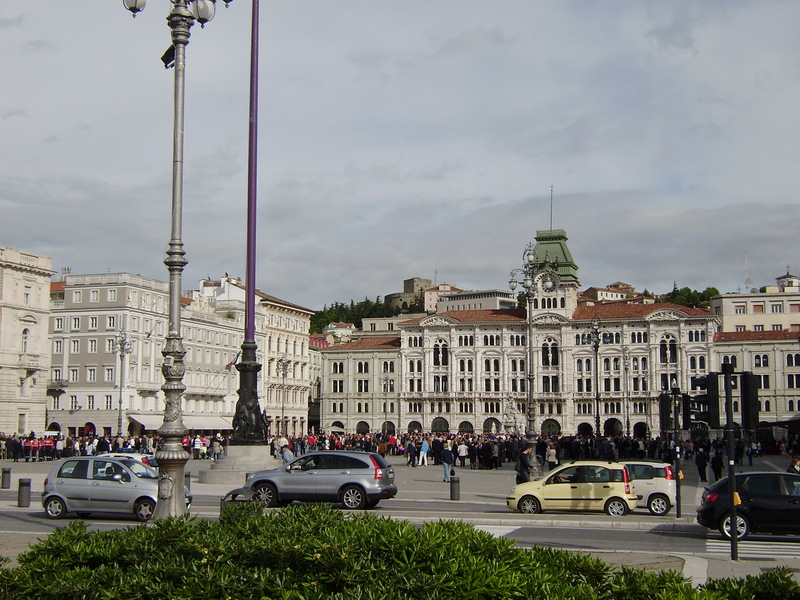 Driving through Slovenian villages in search for an open supermarket, laughing and wandering about the impossibility of the task (since almost all markets close around 3 PM on Sundays) finally made us cross the border and end up in Trieste, Italy, having a picnic on the town’s waterfront. This concluded our (unfortunately too short) weekend. We returned home rested and in good mood, our minds filled with beautiful images of nature: the green of the fields, the blue of the sea, and the grayish-bluish-yellowish-whitish of the sky that, regardless of insecure forecast, graced us with beautiful weather just when we needed it.